Fresh out of high school in Salmon Arm BC, I went to school for esthetics and skin care. Little did I know, I was about to embark in a career that I would be very passionate about! I spent the next 5 years working in spas in the Okanagan, helping people transform their skin and their overall confidence. In 2013, I moved to Vancouver and discovered a whole new field in advanced medical aesthetics. I realized there were exceptional educational opportunities available for me to take advantage of, and decided to upgrade my skills as an aesthetician. I enrolled in the Advanced Medical Esthetics program, through the All Body Laser Training Institute. I graduated with honors, and couldn’t be more happy! My love and interest is in improving someones confidence, whether it be through their overall skin health, or by removing unwanted hair or tattoos, using the latest laser technologies. I am passionate about constantly learning and staying up to date with the newest technology and techniques available in our industry today. I then moved to Vancouver, where I enjoyed working with many laser technologies at Urban Body Laser. 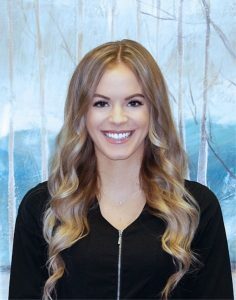 I feel very lucky to have found a new home in Calgary, at Fresh Laser Skin Studio, where I can continue my love and interests with the latest techniques and laser technology. I feel very blessed to be able to make clients smile everyday and even more blessed to be learning something new and exciting everyday from Coral. She is an amazing teacher and mentor.